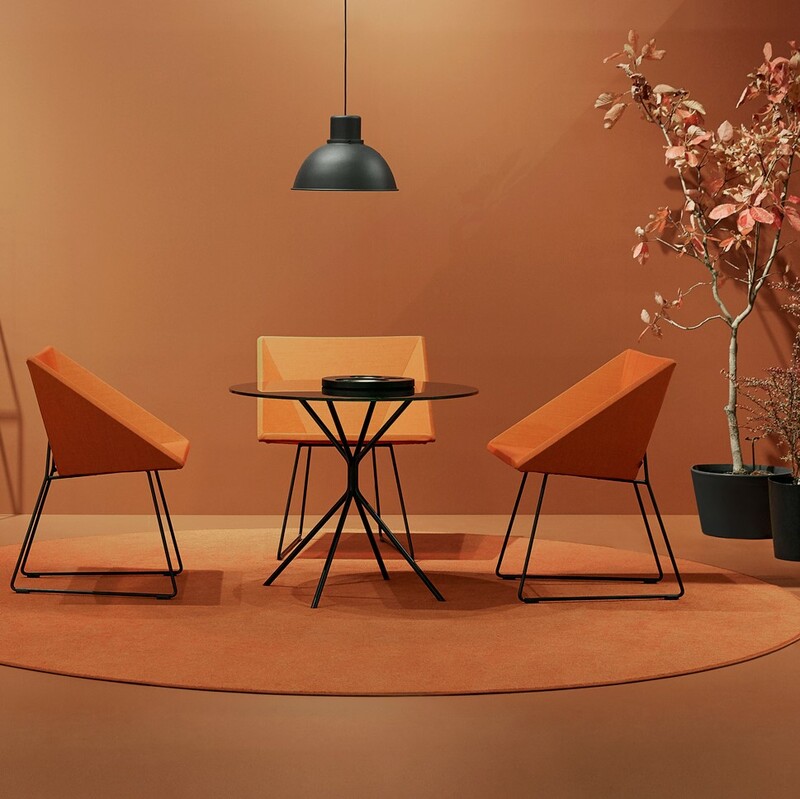 Orange and terracotta tones were out in force at IMM Cologne 2019 with many factories launching new finishes or fabric colours. 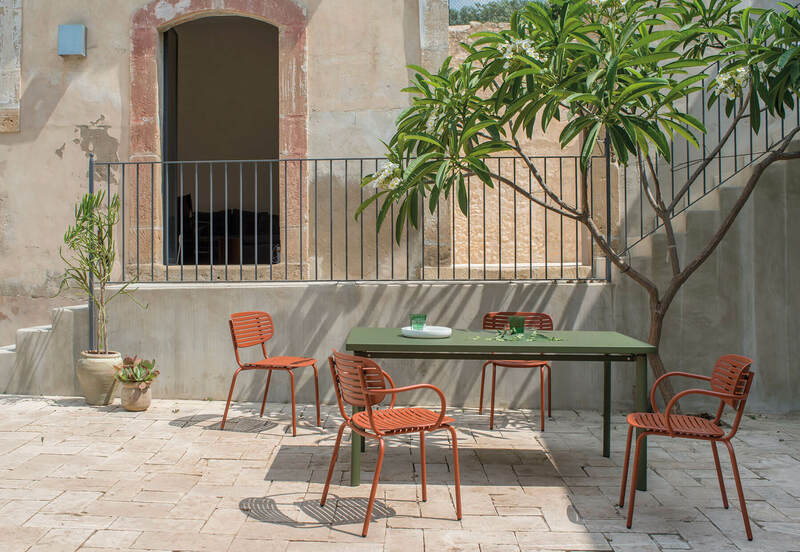 These sunburnt shades were on display, accompanying the green jewel hues that were popular throughout 2018 and are another nod to a natural palate, a glorious sunset, or rich fertile soil. 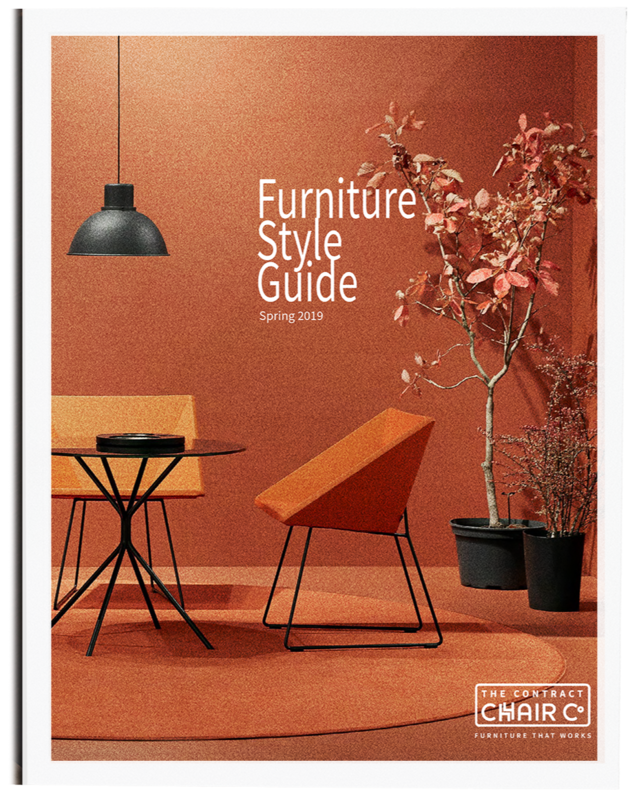 The resurgence of orange in interior colour schemes is also due to the continued revival of '60s and '70s retro styles, particularly in furniture. But where orange was previously paired with brown it now goes hand in hand with pinks and reds in a full spectrum. 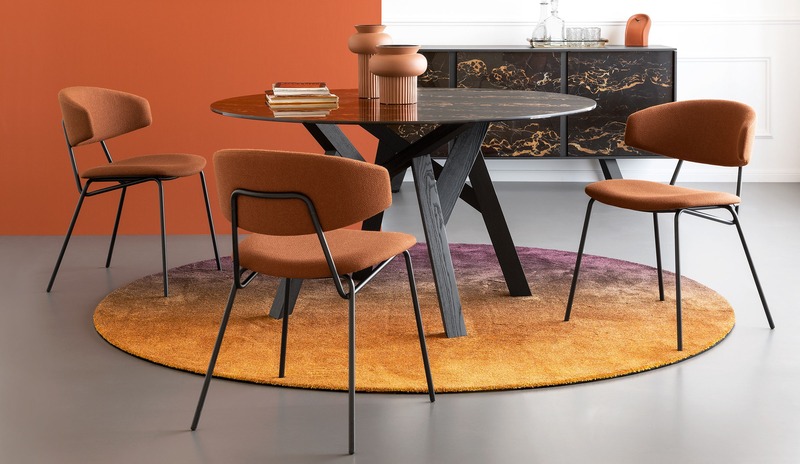 According to Design Insider Magazine, the Stockholm Furniture Fair in February 2019 also refracted a full autumnal spectrum of these orange and terracotta tones. 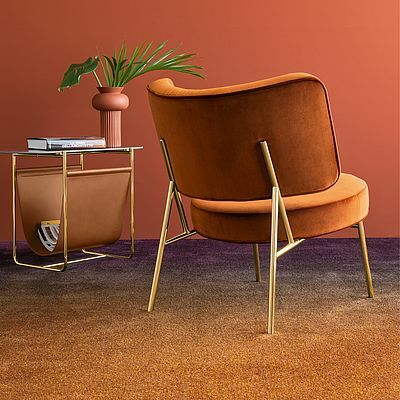 The Pantone Colour of the Year 2019, Living Coral, was "supported by a soft pallet of warm off-white, peach and dirty pink tones....to the more dominant darker, richer and deeper tones." 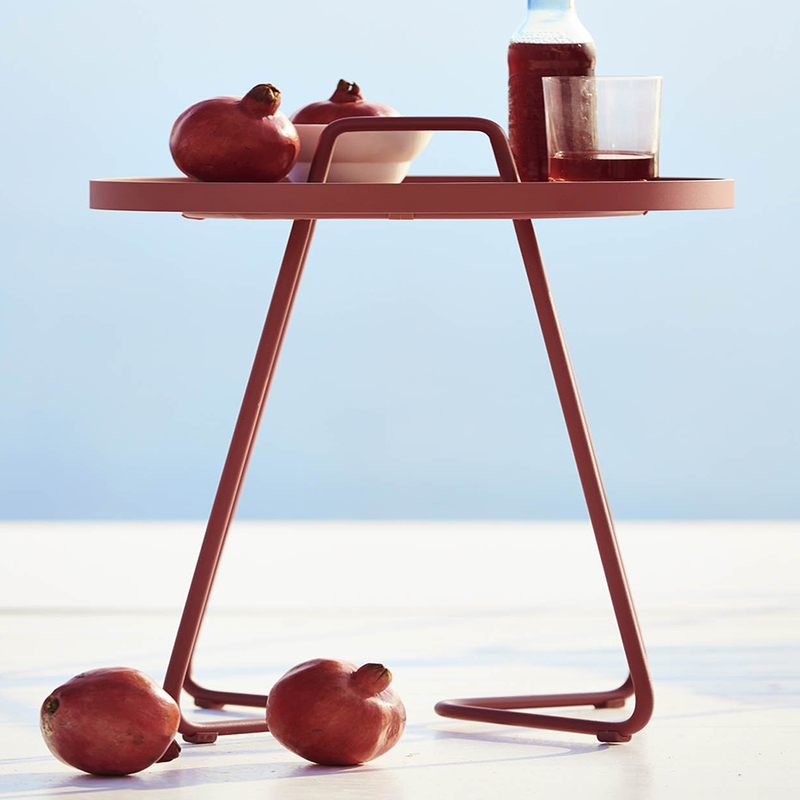 View their trend report on the Stockholm Fair here. 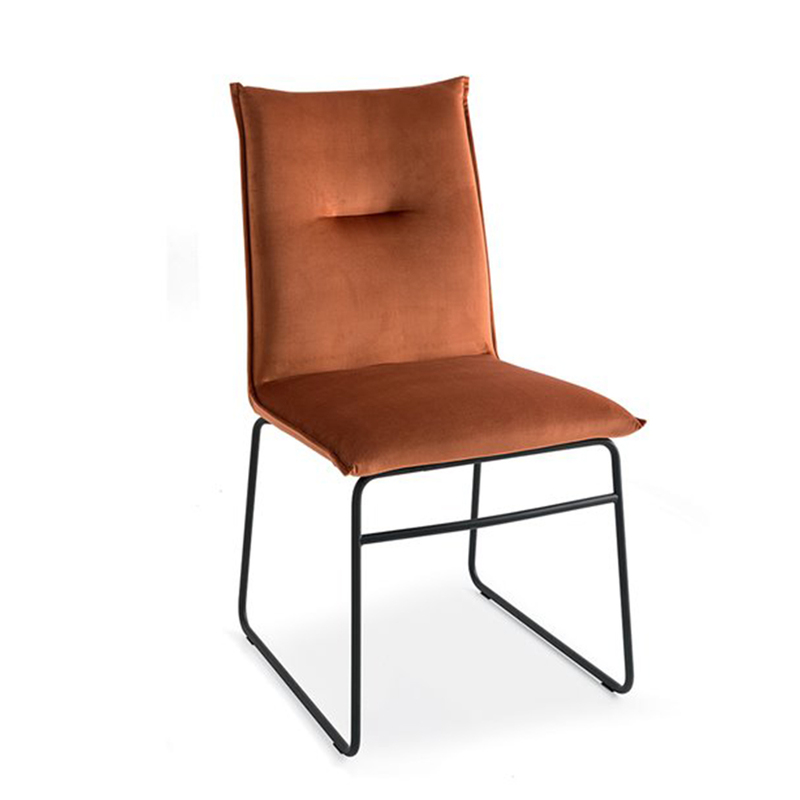 We expect to see more burnt orange and terracotta tones trending in Salone del Mobile this month. 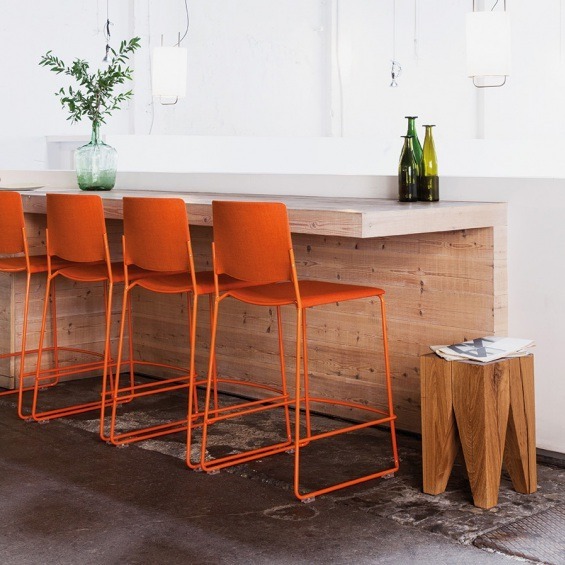 Orange is a great choice for hospitality venues as it's an energetic colour with anti-depressive properties which can create a positive atmosphere. 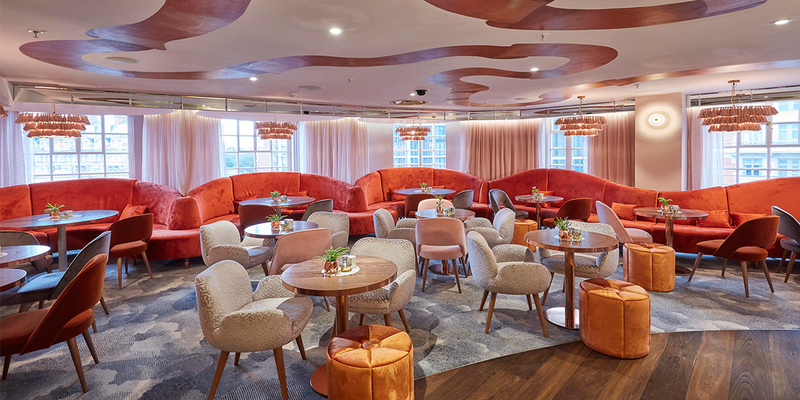 In the Harvey Nichols champagne bar below, orange is used to impressive effect to create a memorable hospitality space. In room2 hotel it's used to create a relaxing and welcoming space with the essence of home. 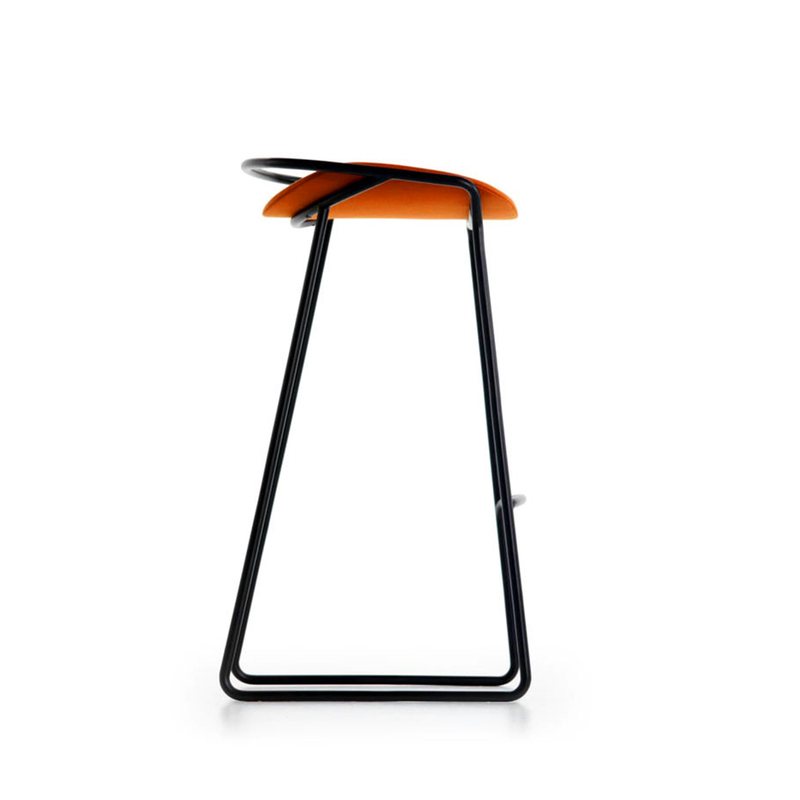 Finally when used outdoors in a vibrant powder-coating for steel furniture, orange can give a pop of colour to brighten a dull slabbed or concrete patio area, or contrast brilliantly with outdoor greenery. Harvey Nichols 5th Floor Bar. Shaun Clarkson ID. Melyvn Vincent Photography. The orange fabric choices work in a spectrum here. 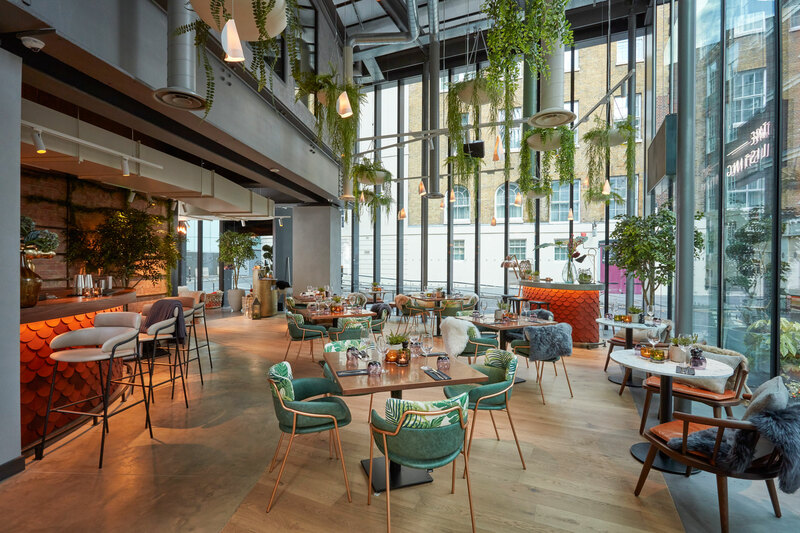 As well as the burnt orange velvet of the banquettes that frame one side of the space, half of the Ava chairs are upholstered in Designers Guild Arona Terracotta while all of the Pop Ottomans Designers Guild Vincenza Russett. They provide a solid contrast to the other patterned grey and pale shades at work in the space. Orange Verona Sofa in room2 Southampton. 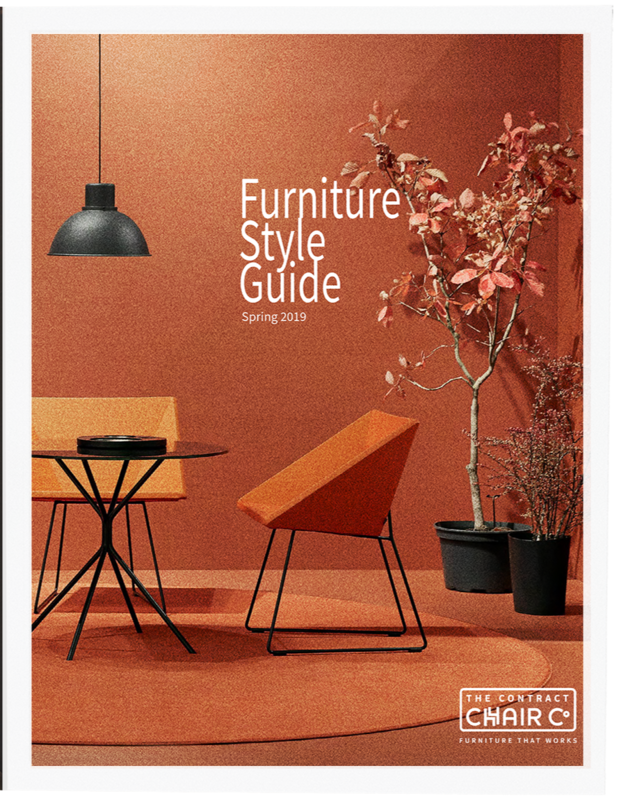 Again the bright tones of the Verona sofa, upholstered in Vescom's Ponza 7027.5 work in a spectrum of orange, with the peach-painted walls and darker headboard shades. 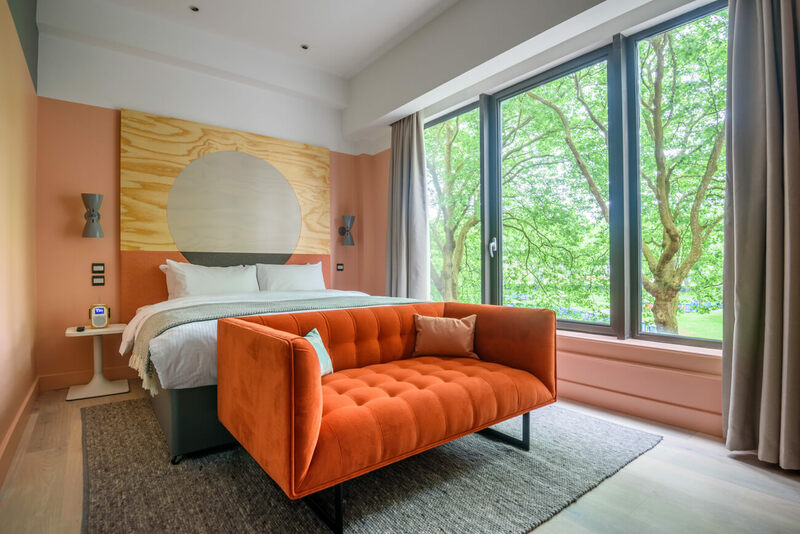 Also similar to the Harvey Nichols project, orange has been paired with grey; in this case curtains and rug, wall lights and even window frames. "The Verona sofas provide a true feeling of home and comfort for the guest but the styling and colour pallet perfectly complement the room design for a totally integrated and connected space." 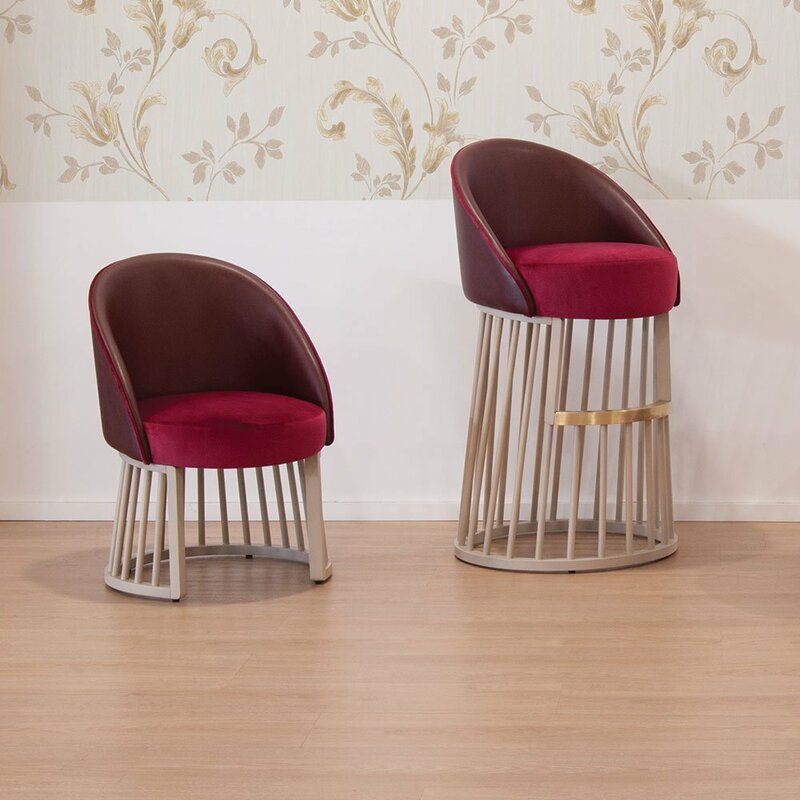 Mom Collection: Galvinized steel frame, powder-coated in Maple Red and paired with Star Table in the complementary shade of Military Green.